Please, refer to my revisited post, it contains more solid and working example of upgrading features using visual studio. Today I'm going to explain how to use new SharePoint 2010 enhancement - feature upgrade. I'll create small example just to show how it works. First of all let's create new Visual Studio project and add new feature named "SomeFeature". Our feature will be install new list instance to site - Tasks list. In feature settings specify version of your feature, it must be set to "1.0.0.0". 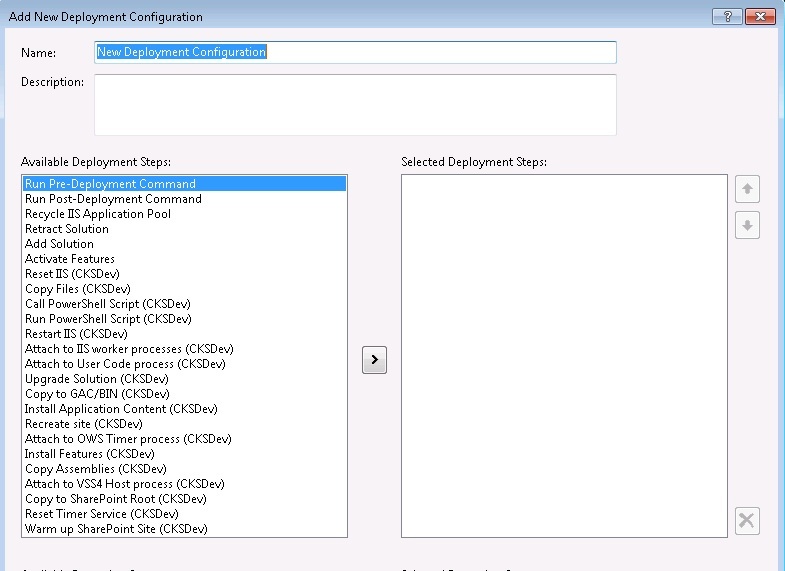 Deploy you project and make sure that your feature successfully install and new list appear. Its time to upgrade now. There is no command "Upgrade" in Visual Studio, that why we'll create own command using nice CKSDEV plugin. 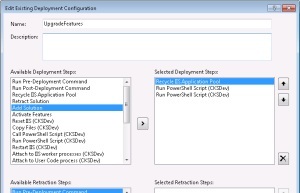 Go to the project settings and create new deployment configuration "UpagradeFeatures". 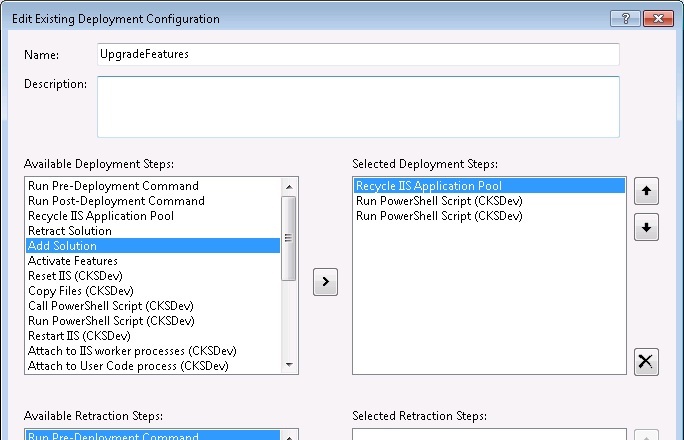 There are three steps in configuration - Recycle IIS Application pool and two steps named "Run PowerShellScrips" from CKSDEV extension. First script will be update our solution (.wsp file) in configuration database, the second one will find all features that need to be upgraded and call method "Upgrade" on each. Upgrade will be fire only on those features, that have version number is less than appropriate number in configuration database. SPWebApplication class has a method QueryFeatures that returns all features in web application that need to be upgraded. 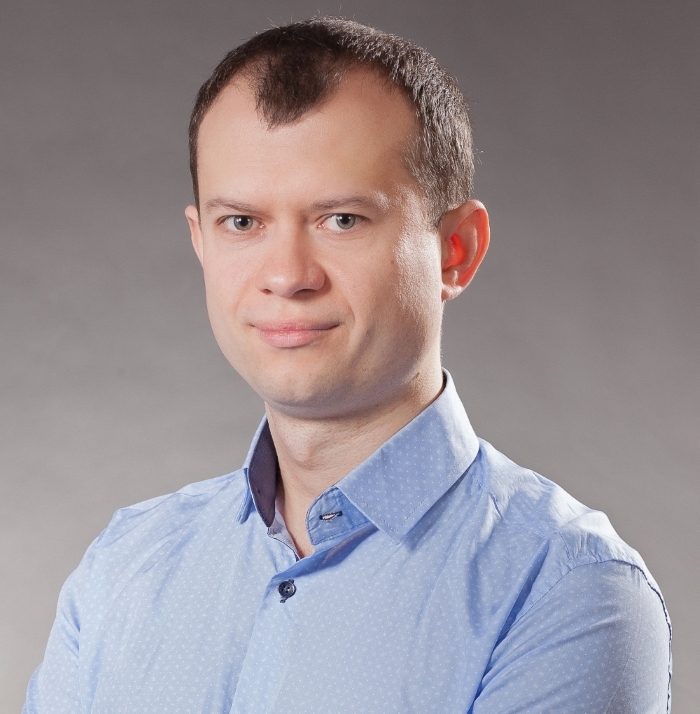 Write-Host "Updating old version of solution package"
Write-Host "Solution has been updated"
Write-Host "Solution package cannot be updated because it is not currently deployed"
How to extend deployment of sharepoint solution in Visual Studio using "Run PowerShell script" deployment step. Imagine that after deployment you must create on the site several sharepoint groups and assign permission to them. 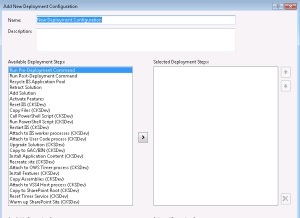 Using deployment step "Run PowerShell Script" you can place all logic reside to group creation to your custom powershell script file and execute this script file after deployment. We start with creation of script file and then we integrate script in Visual Studio 2010.